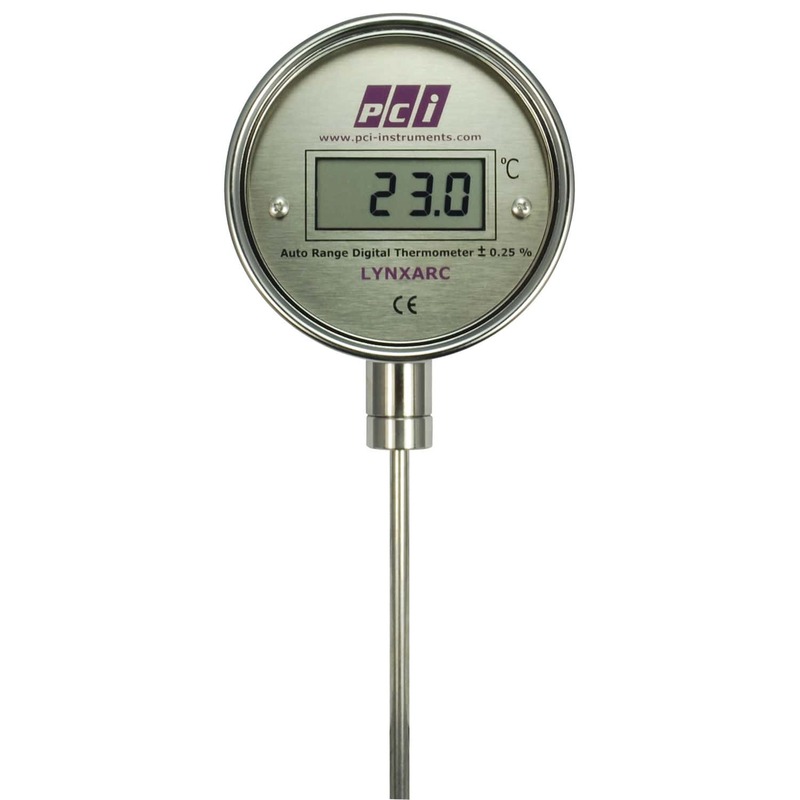 The LYNXARC is manufactured by Pci, and is a battery-powered digital thermometer that is suitable for use in temperatures ranging from -50 °C up to 200 °C. The unit has an accuracy rating of 1% FSD, and it comes with either a straight stem or remote reading capillary. The body of the unit is made of stainless steel. There is a model available that is integrated with a 24 V loop-powered 4-20 mA transmitter.